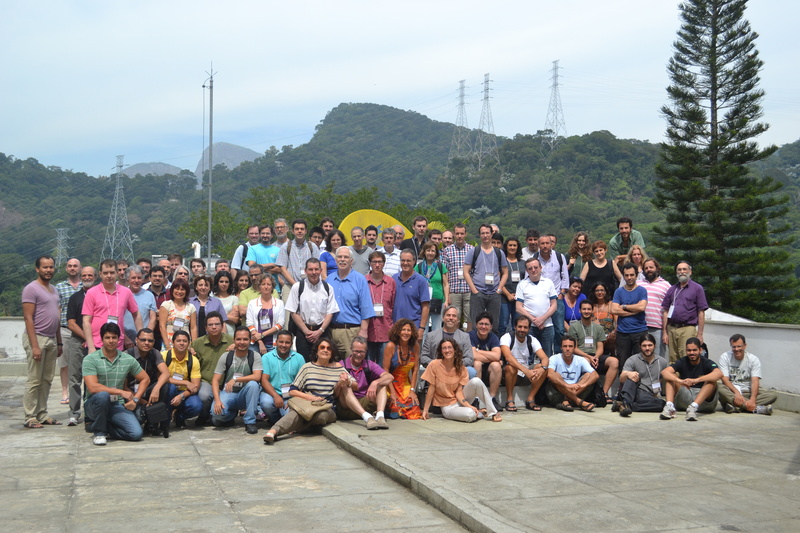 The “Iberoamerican Meeting on Geometry, Mechanics and Control” aims to gather not only experts on Geometric Mechanics, but also students and researchers on applied and related topics in pure mathematics. This meeting is the 4th event of a series of biennial meetings (previously held in Santiago de Compostela in 2008, Bariloche in 2011 and Salamanca in 2012). This edition of the Iberoamerican Meeting will celebrate the 65th birthday of Prof. Jair Koiller. Geometric Mechanics uses techniques and methods of differential geometry to study Hamiltonian (or Lagrangian) classical systems, field theory, quantum mechanics, control theory, differential equations and integrable systems, etc. The methods involve primarily symplectic geometry and Lie theory. Applications include imaging science, control problems in physics and other areas of engineering, and cell biology. Ideas from geometric mechanics also lead to efficient numerical methods for variational problems arising from engineering and biomathematics. The conference will also host the “PIMS Marsden Memorial Lecture” by Prof. Mathieu Desbrun [Announcement]. We plan to have a poster session during the conference. To submit a communication, the participant needs to prepare an abstract in LaTeX using the standard format of the school which can be downloaded by clicking here. The text must be processed directly from LaTex to the .PDF format. 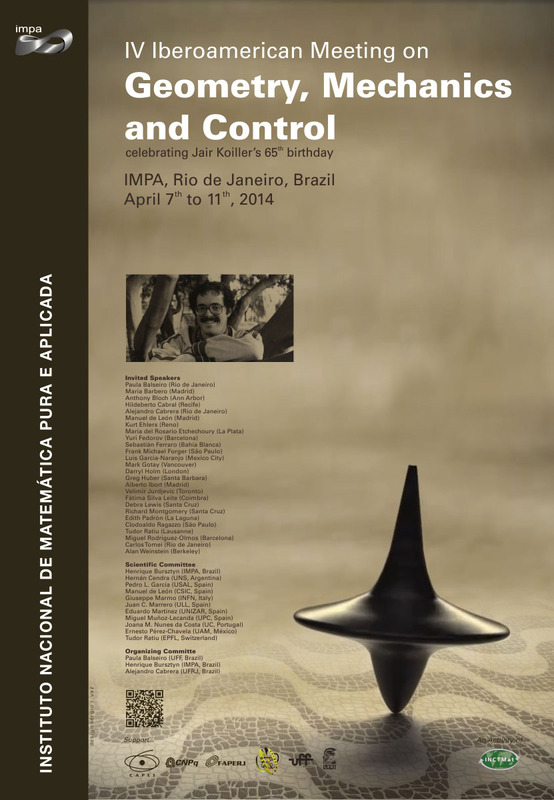 The .PDF and .tex files should be sent to the e-mail ibero@impa.br not later than March 21, 2014. Abelian varieties in algebraic integrable systems and separation of variables.